A very special property providing seclusion and privacy. Old stone Bastide surrounded by 30 . . .
Aups, Provence. Beautiful Villa and gites with swimming pool in fantastic location. A family villa and successful gites business with swimming pool and beautiful garden in the . . .
Aups, lovely 5 bedroom villa, pool, large plot. Quiet area within walking distance of the village. Spacious family house in a peaceful area, near the village. A modern villa of 175m² set in . . .
Aups, splendid 4 bedroom villa with studio, needed into olive trees, pool, garage, land, walking distance from the village. A great house with 4 double bedrooms and 2 bathrooms within walking distance of local . . .
Aups. Splendid land of 1534m², with building permission. Walking distance to the village. Possibility to build a 250sqm of house with one floor. This lovely land with gorgeous olives trees has building permission. Walkiing distance to . . .
House in Aups, 4 bedroomed traditional villa sited on 2500m² of land, Walking distance to the village. 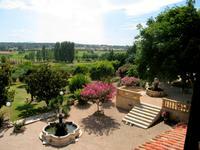 Aups, Traditional and spacious provencal villa in mature gardens. 4 bedrooms, 2 bathrooms . . . This property offers great character spaces. It has a main house, gardens, independant . 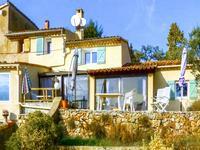 . .
Beautiful imposing (300m²) 4 bedroom stone Bastide with independent guest studio in Aups. with totally private land, pool and olives trees. Built in the mid 1700’s, a fabulous property which has been completely refurbished and is . . .
Aups a beautiful 4 bedroom "Maison de Maitre" with 2 garages, large grounds and splendid view. A charming 4 bedroom house full of character. The plot of 21000m² is fenced by a wall . A . . .
Aups, Beautiful stone 19th century Mas, 9 bedrooms. Perfect for B&B business, pool and 5249sqm of land. 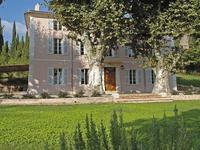 Superb location for this immaculate, late 19th century Bastide. Ideally set up for bed & . . .
Aups, 3 bedroomed stone villa in a quiet and residential area 5 minutes from the village center. Splendid land, pool, terraces, . 5 minutes from a village with all amenities, this is a fabulous location for permanent or . . . Stunning character 19th century renovated stone Maison De Maitre set within 32 Hectares of . . . This is a semi-detached 3 bedroomed family home in the peacefully located village of Aups. . . .